John Casablanca Institute in Vancouver recently ran an outdoor advertising campaign promoting the school’s longstanding brand position, “Born To Do This”. Research suggests that students attended JCI to fulfil a lifelong calling into the fashion, style and makeup industries, rising from a passion developed from a very young age. 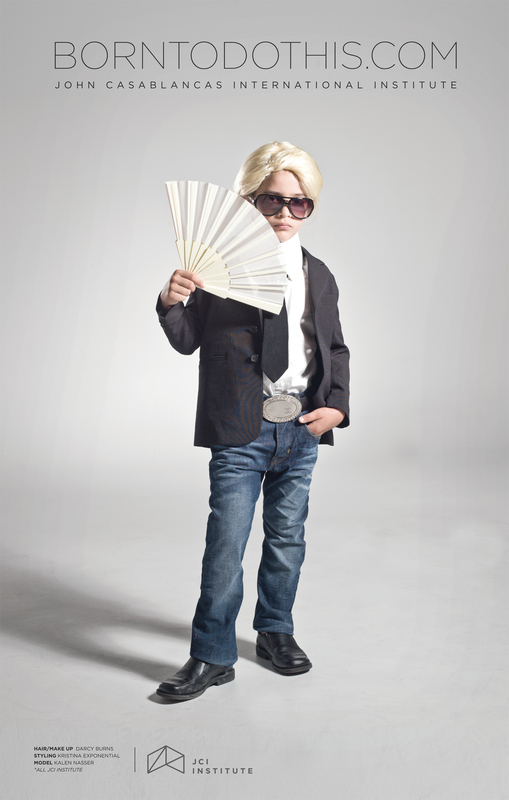 Inside every potential student is a young Karl Lagerfeld, Andy Warhol or comparable icon of the industry. The campaign ran in traditional outdoor locations including transit shelters and subway station banners. The media was always booked in pairs or a series of three sequential banners to ensure the characters created for the campaign were presented together. Transit was chosen because research showed that the target market are regular rapid transit users. The Born To Do This campaign was developed at Spring Advertising, Vancouver, by art director James Filbry, creative director Rob Schlyecher and designer Shon Tanner.